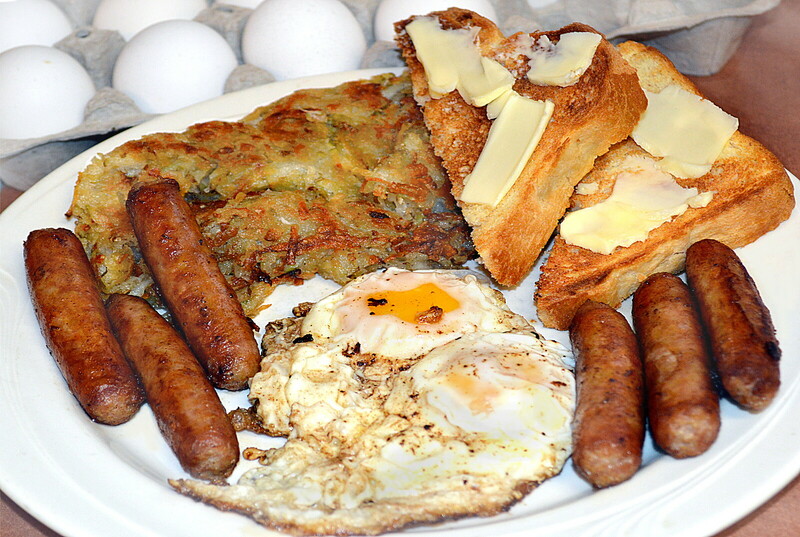 .. We've been told that a balanced diet is important for success in catching trout in our neighborhood. .. It's also been said that variety in food and flies is the spice for catching those trout. .. 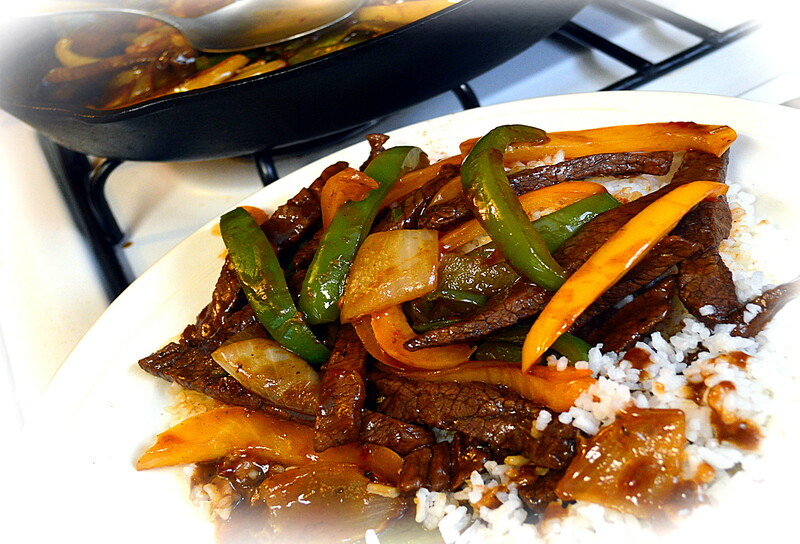 The neighbors, bless their hearts, say that all food is better if it's made at home. We're doing our best. .. It could be rain. It could be light snow. It could be fog. It could be cloudy. It could be overcast. Whatever it is it's soft and still. .. Slurping is louder than rustling. Fishing is sublime. Catching is electric. We get one of these days all too infrequently. It's nice. .. Breakfast comes after catching. .. It's not far from our neighborhood to the suburbs. .. It's just down the road and a quick left turn and we're out there where folks measure their land in acres - not square feet. .. It's out there where streams form the boundaries of fields and summer pastures. 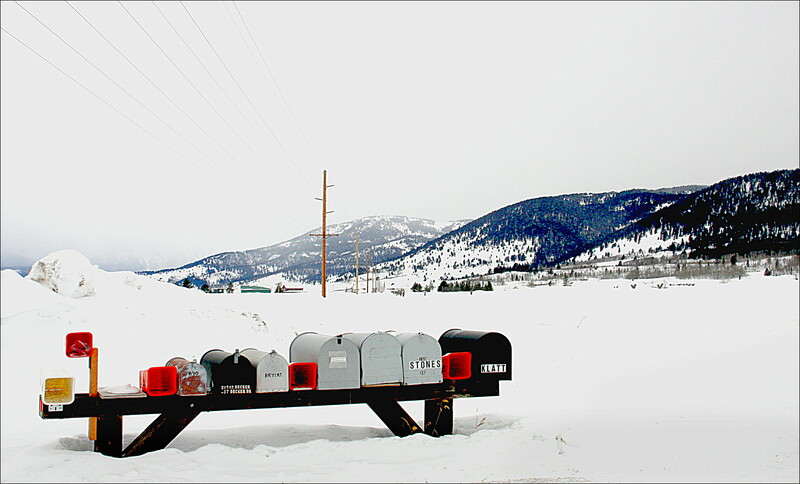 Out there where they have to drive to the mailbox. .. It's out there where we can easily find a fish to molest. We can tickle it's maw with the tempered steel of a fluffed-up hook. .. It's out there where we can take a quick break from the noise and idiocy of our little tourist town's stupidity of exorbitantly priced park tours and the frenzied snowmobile chaos on our streets. .. So, on some mornings, when the sun warms the snow to a fine and ethereal ground fog, we hitch up our trusty steed and trot to a little pool where the fish play. We stick one and call it a day. Even if it's not yet noon. Short days this time of year. .. That's success in our world. .. The lovely glasses and grasses from over 60 years of scrounging, hoarding, and rat-holing are now being dispersed to new homes. .. We have cried a little. We have laughed a lot. We have declined enough dough to retire on. We are transferring stewardship to loving and appreciative homes. .. From the Palakona classics to the Central Valley lovelies and from Aroner to Winston, all have been sundered from their dark nooks and crannies to see daylight again. We feel holy and righteous. Hundreds gone. Hundreds to go. Ever seen a 10' one piece Leonard? The reels are next. .. Not much to say about the smoke in the neighborhood. 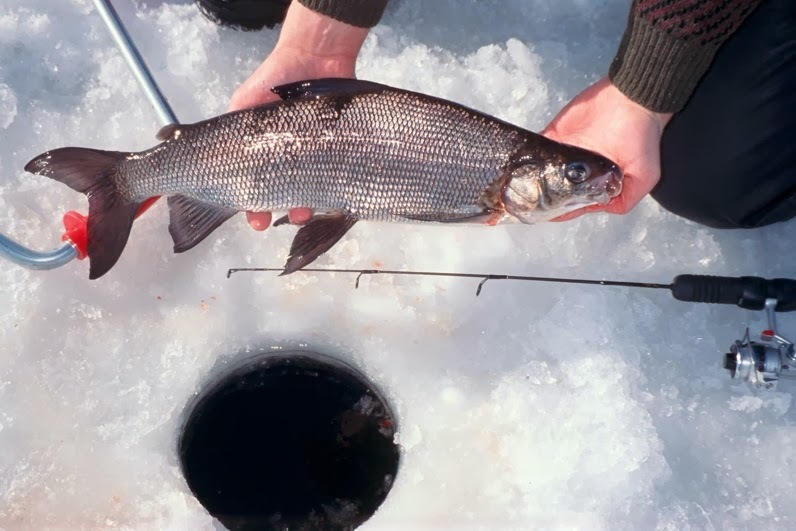 Giant whitefish are meeting their demise and being cremated in our village. .. It's something that happens every year about this time. 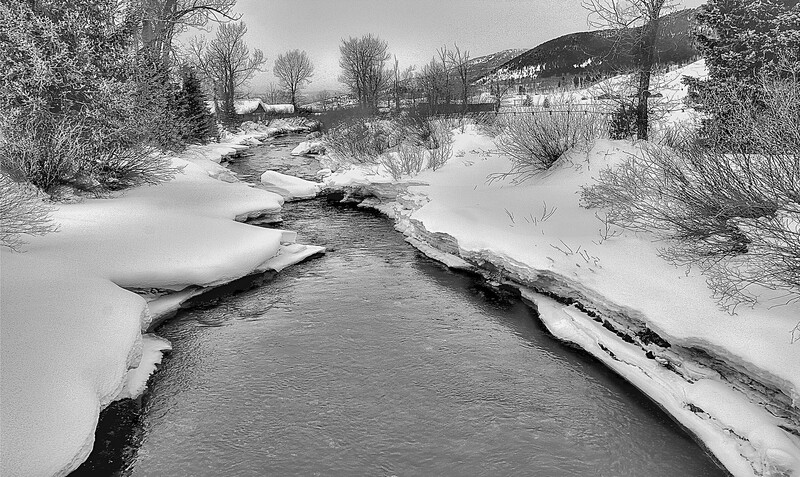 Trout fishers are oblivious to the joys of freezing their butts off on solid water. They prefer to freeze in running water. So be it. .. River fishing between the lakes continues to draw far fewer folks than usual and the fishing is very good with gentle temperatures and howling winds. .. The catching on the lake and the river is good to great and interestingly, the same fly is doing the job on both. .. The cold inhibits visitors. The neighbors dash to the small ones. The fish are hungry. Catching is not easy but it is simple. Use the best stealth techniques available. Wear a single piece snow suit for wriggling in the snow. Use small binoculars for observation. Just drop a fly in the maw of the fish. A three foot leader. 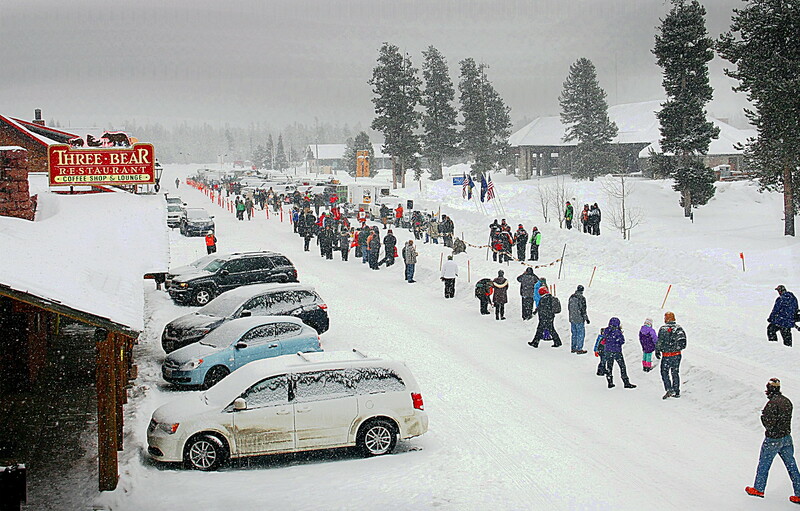 Two feet of line. 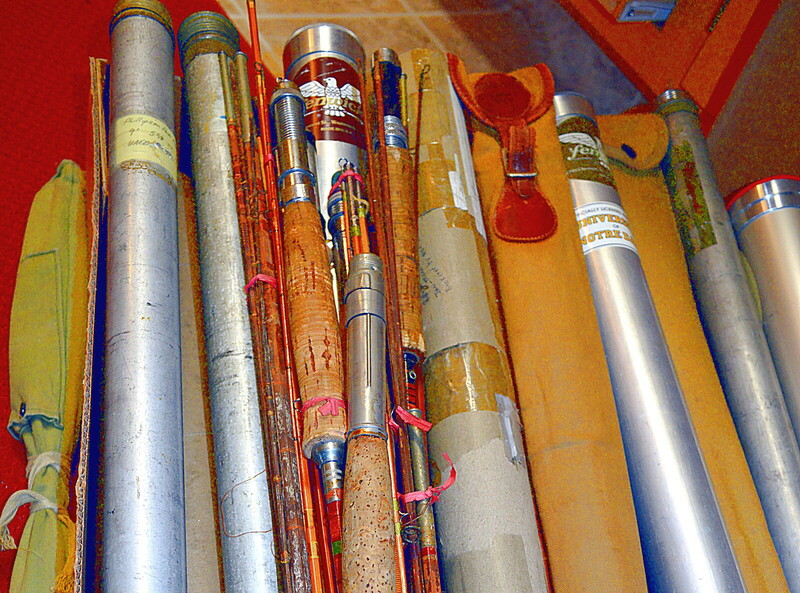 Overline the rod or use a nine weight. Ten foot or more. Play and return quickly. 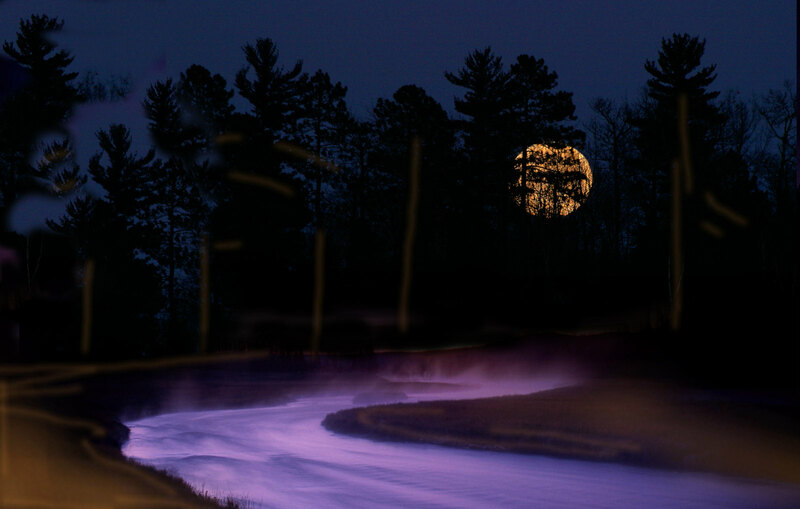 THE MOON, THE PINES, THE RIVER, AND NO CLOUDS - HUZZAH! .. A half dozen of the neighbors scored big time with big fish last night. The moon is not quite full but it was up at twilight time and the work day was cut short in favor of a bit of catching. .. The clouds come and go. The snow dribbles in and dribbles out. Last night was absolutely perfect. There was a bright moon, (not quite full,) and the clouds held off until well after midnight. There is still some time for nailing the predatory denizens of the deep, (Between The Lakes.) The clouds pick their own time for appearance and disappearance. Real fishers keep an eye on the sky. Temperatures have been mild and fishing has been good - catching even better. .. This is the time of year reserved for the neighbors. 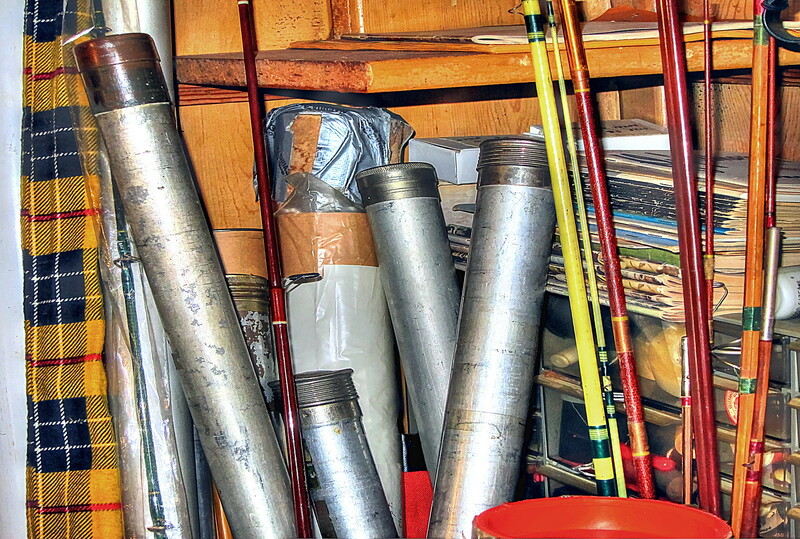 Famous fishers and feather merchants have bailed out of town for warmer places. Guides have no visitors to guide and are either in the warm world or scraping along with their other part-time jobs. The authentic fishers of our town are out in the elements, rod in hand, stabbing fish in the lip. It's sort of like a family affair. .. Of course they are using their "mice." The mouse is a generic term in our neighborhood. It refers to a myriad of deer hair flies that create the requisite commotion in the water. Some are cute and tied to look like a real mouse. Most are tied to produce a splash and a long trailing wake combined with a substantial silhouette. .. We've mentioned this before, we'll continue to mention it. 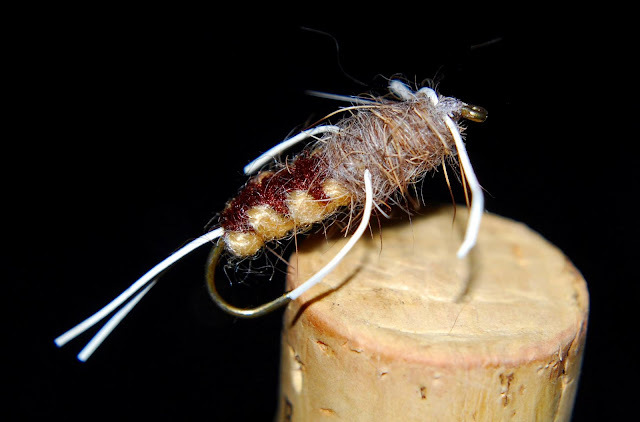 There are more ways to catch a trout than with miniscule hooks and scraps of fluff. Groceries is what big fish want. Groceries is what the neighbors have been flinging. .. There is a not so secret fly that was developed last fall and has caught the imagination of the younger set. They call it the outrigger. 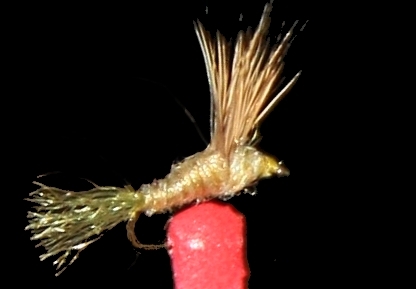 It's a fairly standard deer hair fly with a couple of interesting modifications. 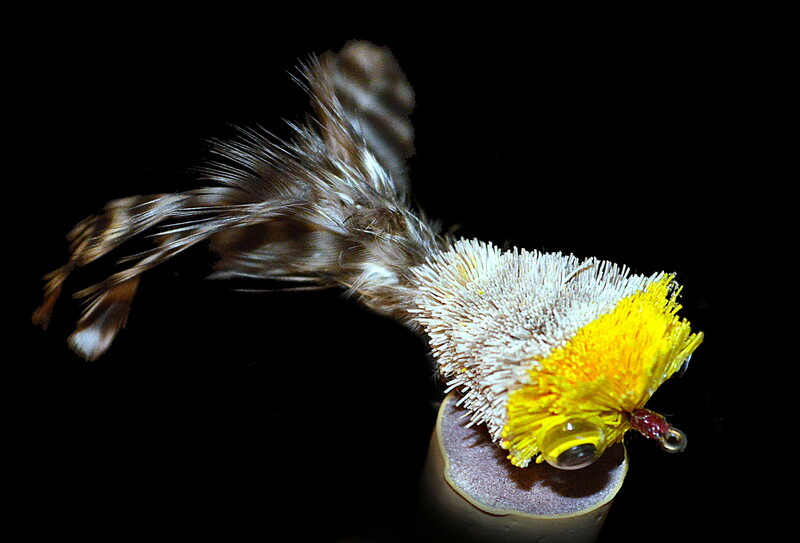 It has a very long calf tail trailing element and a pair of stiff feathers jutting out from the sides. .. Right now, however, it's all about the clouds and the moon. Whither, whether, and when are questions that the neighbors are asking. Tonight will be problematic. Tomorrow should be better. Valentine's day might be perfect. .. Should you choose to abandon the conventional, poetically tweedy mindset and seek big fish and easy catching we suggest that you plan some time during this year's full moons. The Old Farmer's Almanac has the dates listed HERE. They make no mention of the timing for clouds, snow, rain, hail, sleet or thunder. .. As for the neighbors; they have the advantage. They look to the clock. They look to the sky. They look to the river and box of chocolates be damned. .. Each tour costs $100.00 or more each day, (seven or so hours, plus park admission fees,) for each person in the family. Imagine the costs for a family of four from Cedar Rapid Iowa that would like to see Old Faithful, the falls at Canyon, and Mammoth Hot Springs = each one is a separate tour - plus transportation, lodging and food! .. There is a stench of "Scalp Collecting" among many of the entitled visitors. There is recitations of the various other parks visited. Retelling of how many in the last week. How many in the next week. Strokes and folks - so be it. .. The guides collect scalps too: "We saw a bobcat," "We saw 15 elk," "We saw some otters," "Giant erupted," etc. In this instance the seeing is the success. What would they do if they had to watch? Observe? .. The tours can be a wonderful first experience for those who need an introduction to the park. It's not for in-depth enjoyment. It's not for contemplating the scenery or surroundings. It's not for waiting for the sun or animals to properly position themselves for photography or optimal viewing. It's certainly not for following your own interests or wanderlust. 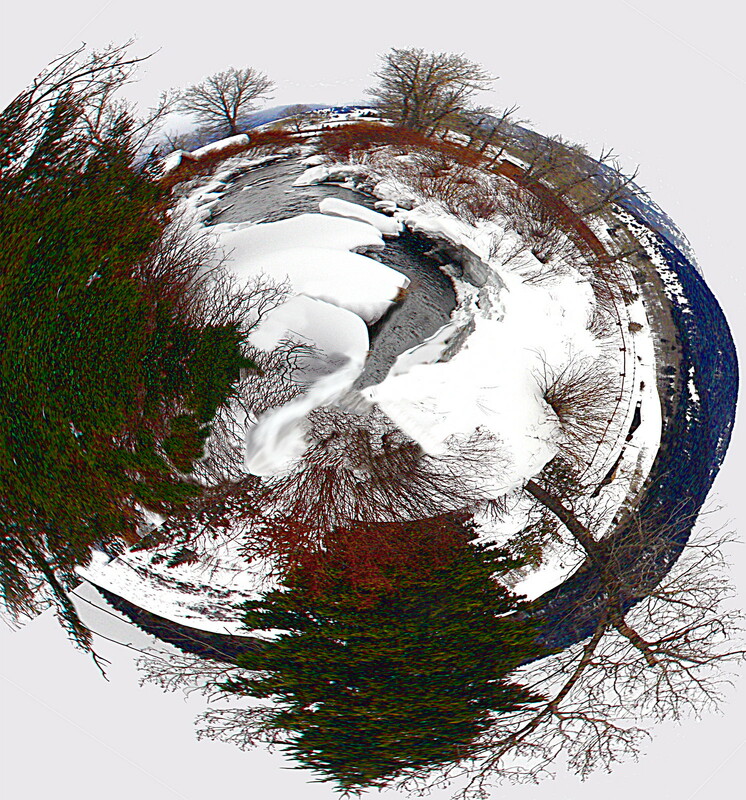 .. We'd love to visit frequently in the winter. But at a hundred dollars per day, on a tour, it's just not feasible - or sensible - or a very attractive proposition. We are lucky enough to have some friends who guide the "swells" that come to sample Yellowstone. On occasion they let us tag along. When we can; we do. 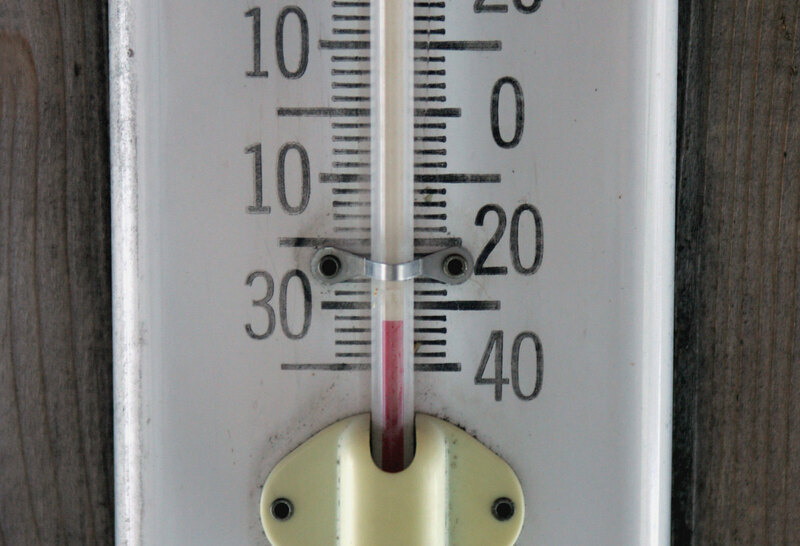 .. We like it when the temperatures become the topic of all-day conversations among the shivering visitors. .. We take a few snapshots, look at places too far to visit on the "tour," and wonder at the policies of the NPS. .. They seem to be held captive by the concessionaires making the $$$$ showing the elite a quick glimpse the park. 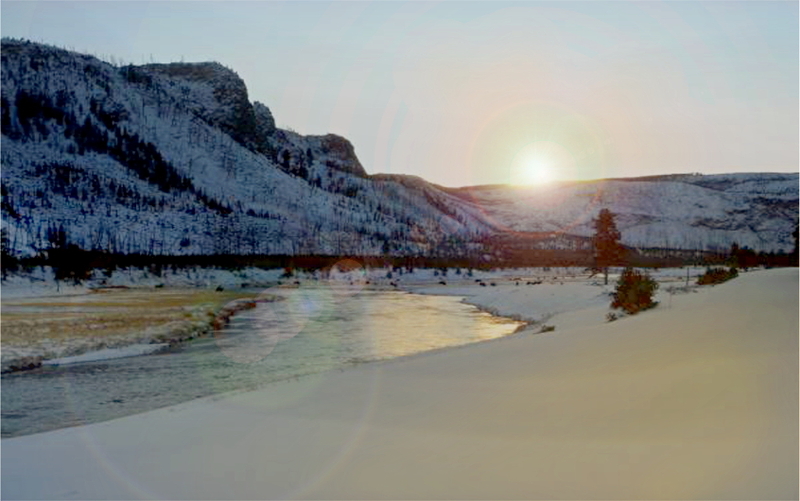 .. By the way, there are fish rising on the Gibbon River, Madison River, and the Firehole River. There are places where spawning activity is still happening and visible. The snow pack is not far below normal and the continued mild winter has the critters looking fit and healthy - unless they are being eaten by other critters. .. We enjoy any opportunity to visit in the winter. We try hard not to be morose about the wasted opportunities to pause and reflect upon the place. We do our best to understand the compromises necessary to make money and not dally among the "lesser" wonders. We watch the rich folks at their "leisure" and listen to the various canned spiels delivered, with NPS tutelage, by the guides leading their flocks through the approved attraction list. 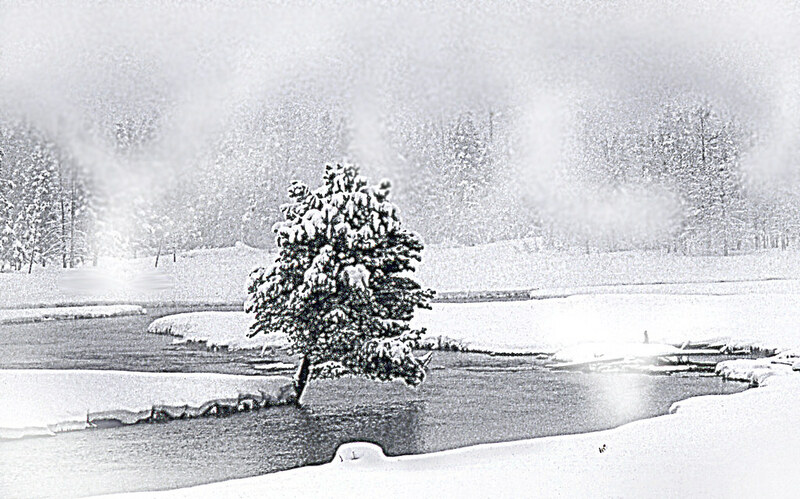 .. We do heartily recommend that any first time winter visitor take a tour: if they can afford it. Otherwise there are other destinations in the winter where your time is your own and your experience is not sacrificed to that scripted by commercial interests. .. Some of the neighbors went fishing. Some of them slept in. A few even shoveled snow. 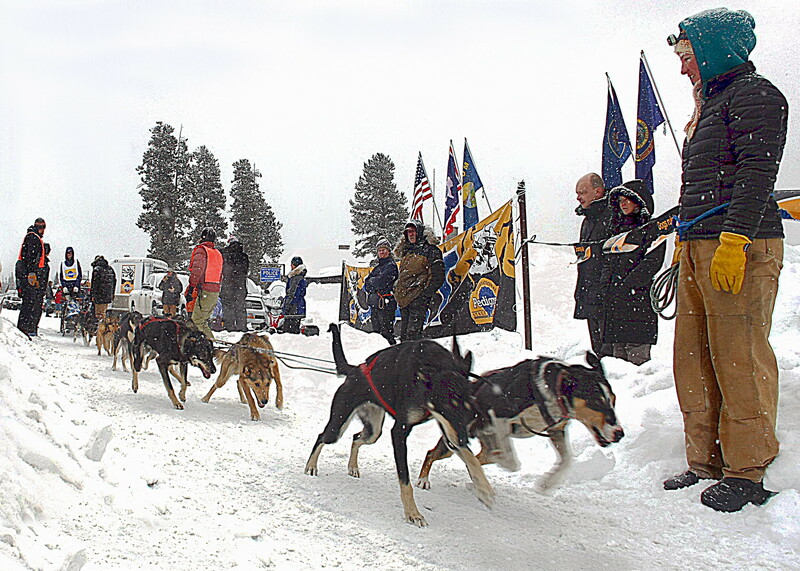 Most of the neighbors, however, helped out with the West Yellowstone Leg of the International Pedigree Sled Dog Stage Stop Race. 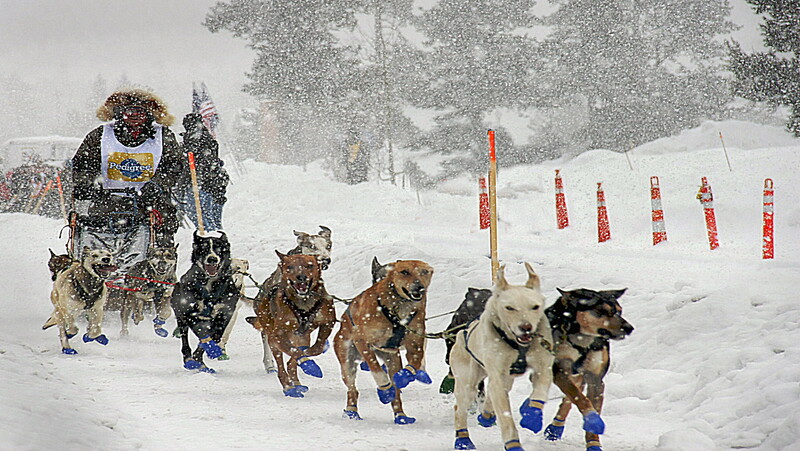 .. Second, only to the Iditarod, this is the longest sled dog race in the United States. 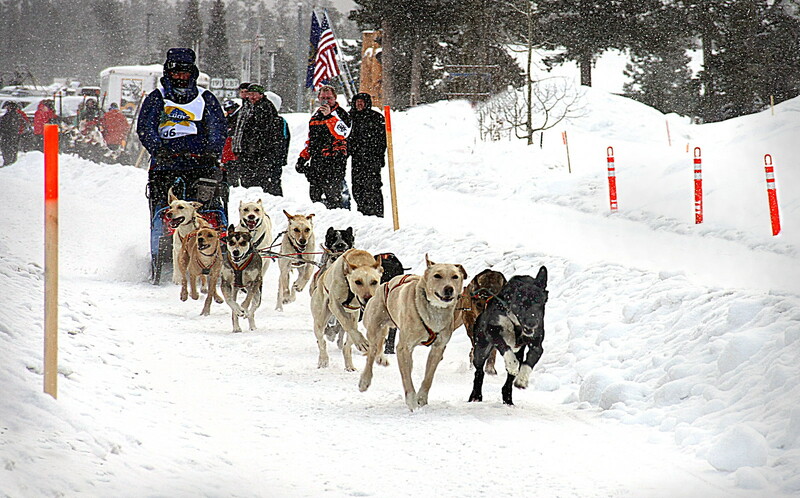 It covers over 300 miles in eight days and draws the top sled dog athletes from around the world. .. An international contingent of 17 teams are entered in this year's race. From Scotland, Norway, Michigan, Wisconsin. Idaho, Canada, and other foreign countries, come the competitors. There are teams with ten dogs and those with twelve dogs. .. There are six stops over ten days, similar to the Tour de France. 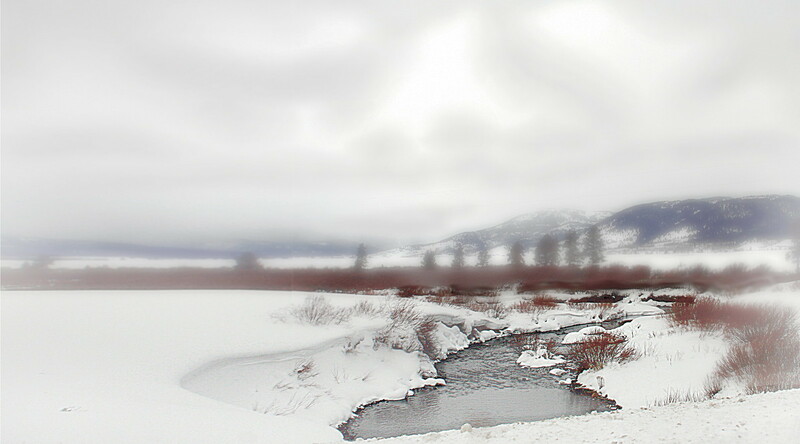 The West Yellowstone stage is the longest and most complex. 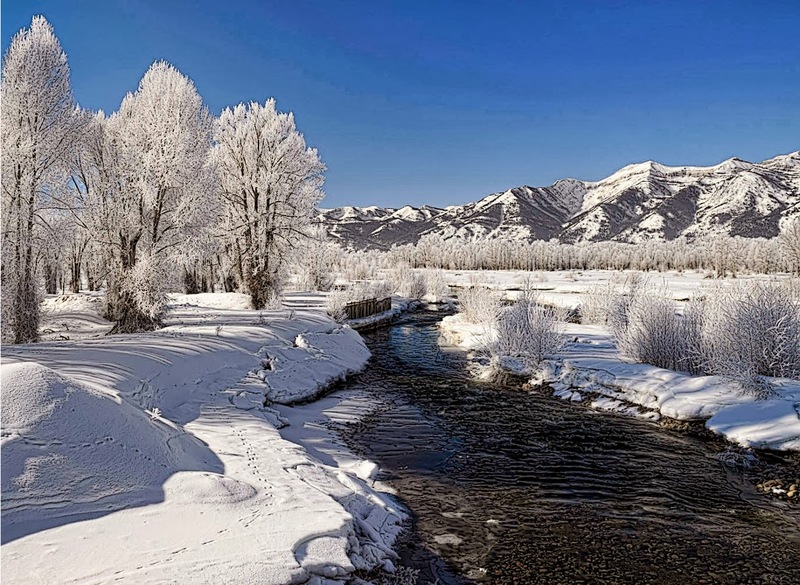 It covers over 55 miles and ends in Ashton, Idaho. The course crosses the Continental Divide, five rivers, an old railroad grade, and terrain ranging from flat out to climbing and descending twists. .. 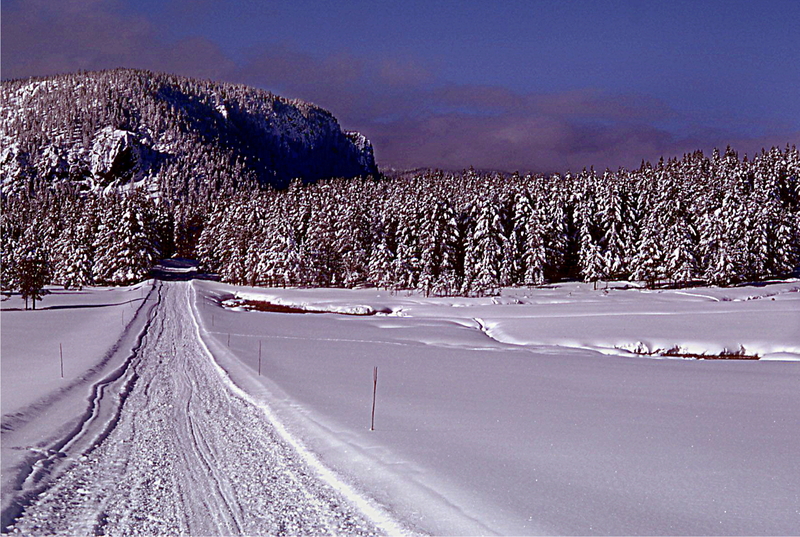 The teams share some trails with skiers, and other trails with snowmobiles. 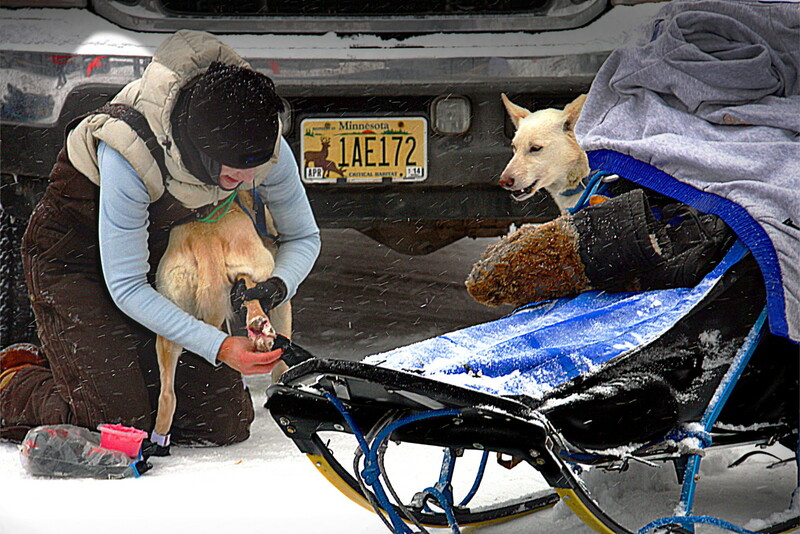 The trail wise dogs take it all in stride and can average between 11 and 15 mph on their run. .. Our neighbors help out at the start, (and the night before with lodging and other hospitality actions.) Human fences guard the intersections in town along the length of Yellowstone Ave. from the park line to the old airport. 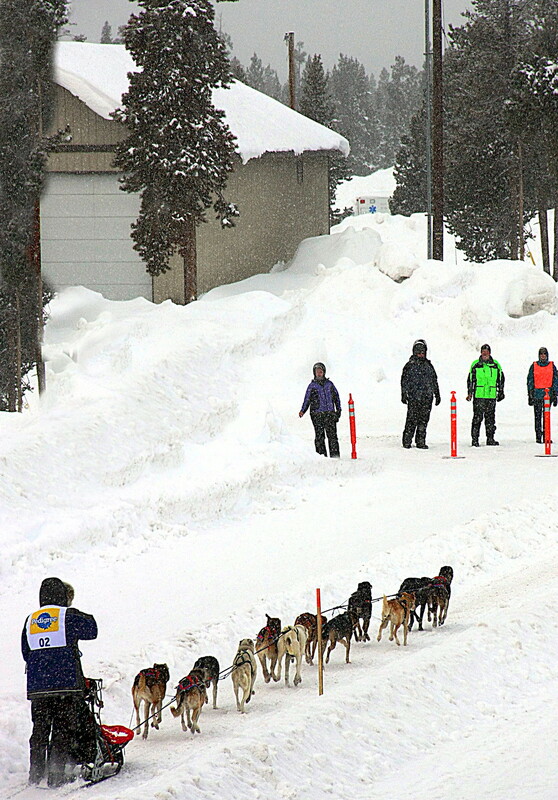 Some neighbors run the snowmobiles that hold the eager dogs in check on their way to the start line. Some neighbors handle stop watches for the teams. .. Photographers from the local and national press are scattered around. Neighbors set up and take down the course markers for the full length of the course. The city road crews berm the street and remove the berms far into the night. Some folks pay attention to the big game on hand held devices. .. Meet and greet sessions took place on Saturday night in several pubs and restaurants in town. Bedding, food, water, and veterinarian supplies are available for all. .. Race day brings a tension and excitement for the whole village. Even the visiting sledheads pause to take in the spectacle of the start. All-in-all it's a grand time for the visitors and neighbors. There's even time to catch the big game should you choose. .. If pizza is not on today's game day menu, then pretzels ought to be. Pretzels go together with beer and other stuff; but mostly with beer. These pudgy little devils are made with beer and are often called "PRETZ-ALES." .. They are pudgy because of an additional proof after the knot and before boiling. They are small to encourage a third or fourth or fifth. 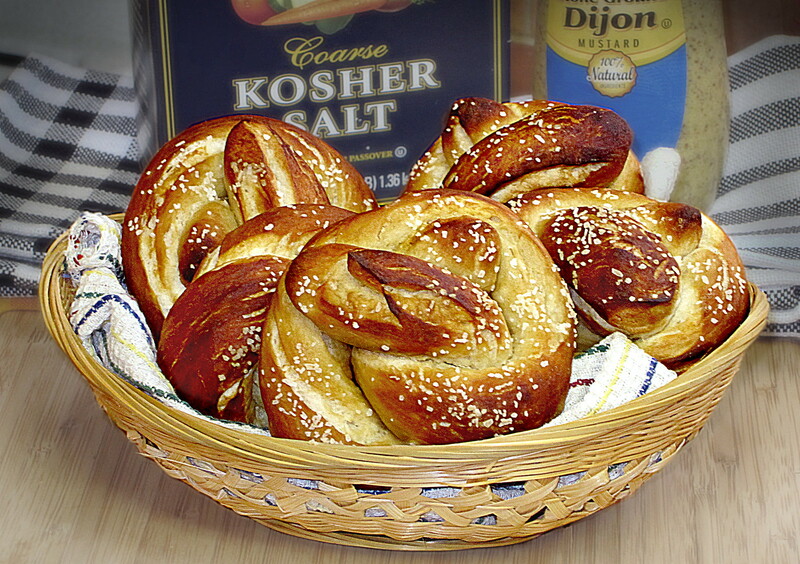 They are built in the standard pretzel fashion and can be made in an hour or so. -- Activate yeast in warm water with salt and sugar. Mix in all remaining ingredients to form a dough. Knead for a few minutes, (until elastic and smooth.) 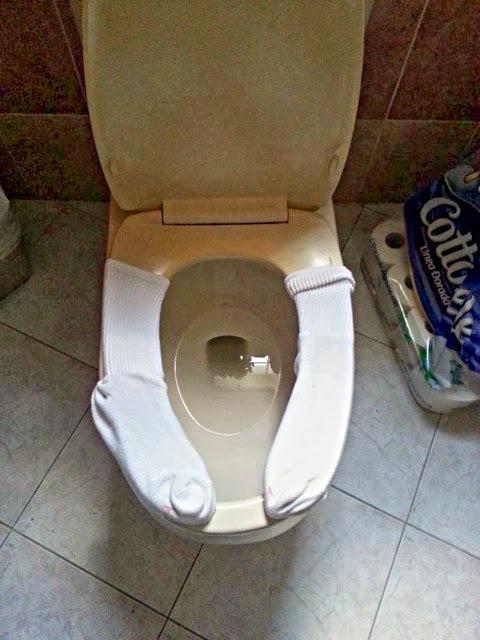 Rest for 45 minutes. Form into ropes and knot the pretzels. Rest for 15 minutes. Boil for 70 seconds in a 3% lye bath or saturated baking soda bath. 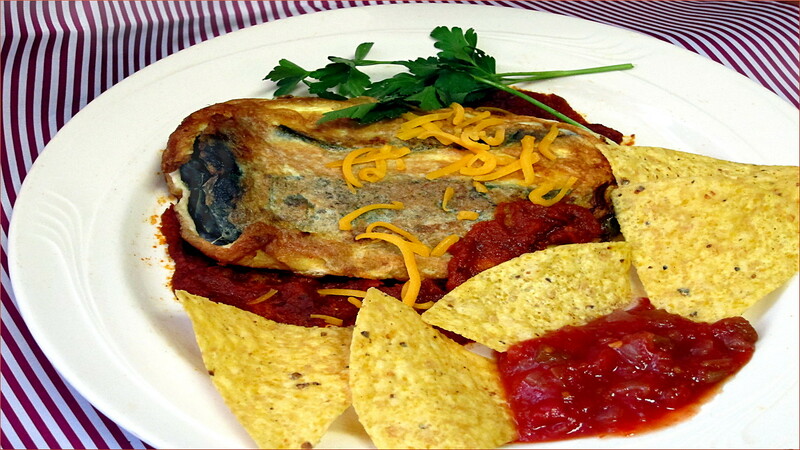 Pat dry: sprinkle with salt, and bake on a lightly oiled sheet in a pre-heated oven at 450 ° - 10 minutes - give or take. .. The appearance of bass poppers in the trout fisher's fly box is as old as Dr. James A. Henshall. Today these flies are shunned by effete fishers who would rather fish than catch. In our neighborhood the deer hair flies are tied to produce an enticing wake. .. 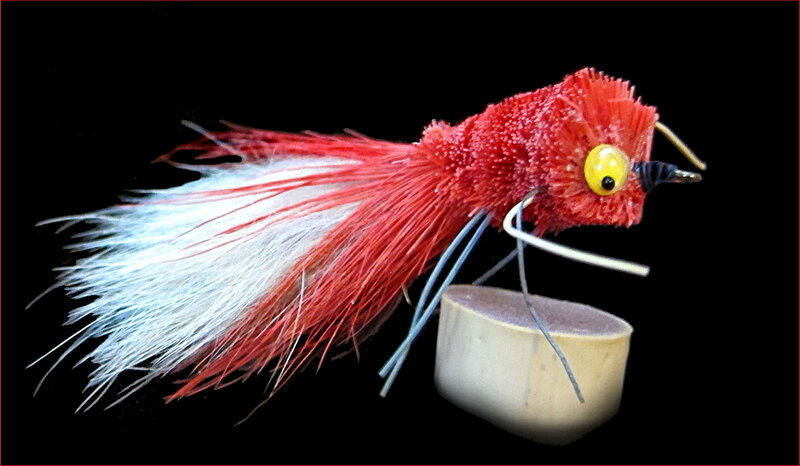 This little popper/streamer, ("The Red Rumbler" - thank you Louisa,) has a face shaped like the prow of a WW I battleship. It's "V" shape and vertical profile push water in protracted bow waves. The thick bucktail afterburner keeps the bow waves separated for a good distance. 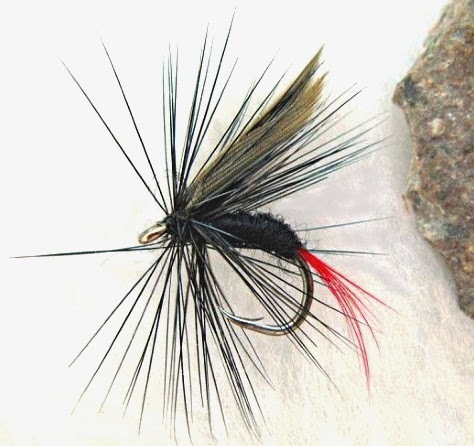 .. For those with experience beyond trout this fly can be fished like a Zara Spook - "Walk The Dog." It's not for the fully decked out, dry your fly before it alights, fisher. Fished in the moonlight or at dusk this class of flies is the whoop-producing bunch of flies. .. A Pie to remember: A genuine change of pace from "Pizza Americano" or other highly spiced pies. 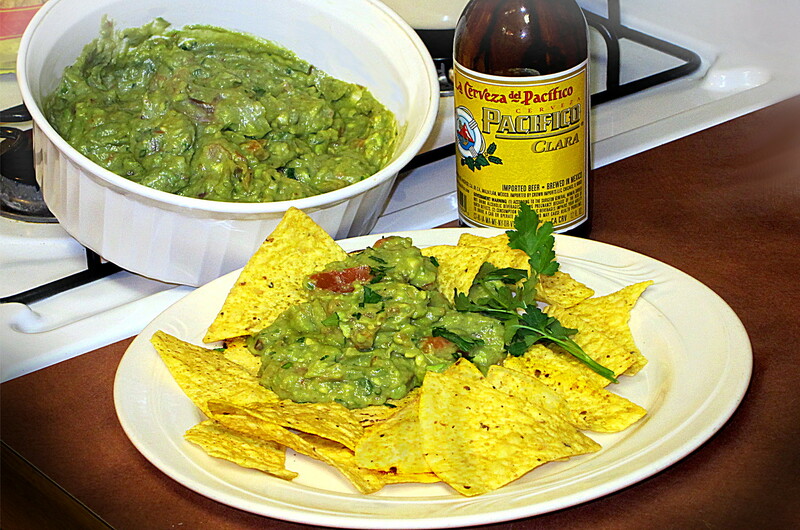 Serve this one with a sweet lager or ale. Winter mead is an excellent complement as well. - Salsiccia Calabrese, drizzle top with olive oil. - Bake bread for about 8 minutes at 475° before adding toppings. 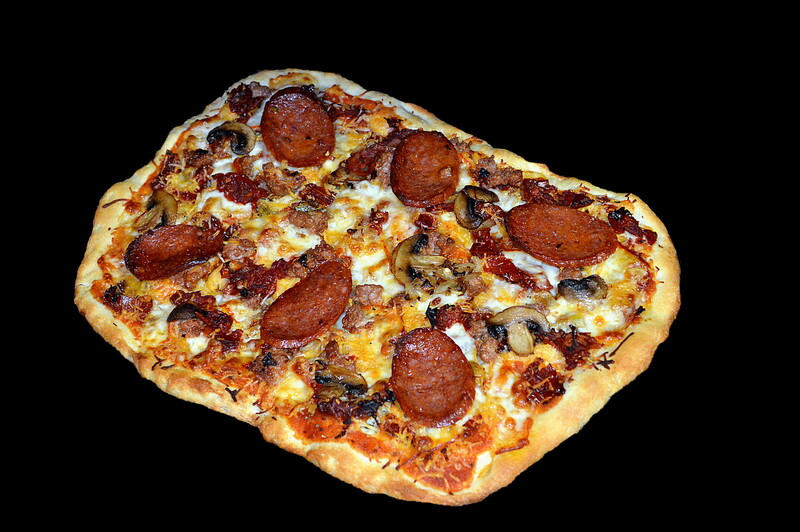 Return to oven, with toppings, for another 8 or 10 minutes at 400°. .. Frenzied fingers are busy at the neighborhood tying benches. The upcoming "Full Snow Moon," (Hunger Moon, Only Bone Moon, etc.) is one of the most productive times for night fishing in our neighborhood. .. The water, (where not frozen,) is very cold. The food for fish is sparse. Large, nocturnal, predatory trout are eager to have a sack of groceries flopping around in their water. .. Splashy patterns are emerging from kitchen tables and heated garages in the neighborhood. The fishing at night during this time of year is similar to fishing a mouse during the Autumn season. .. Patterns range from sensible to whimsical, to splendorous. 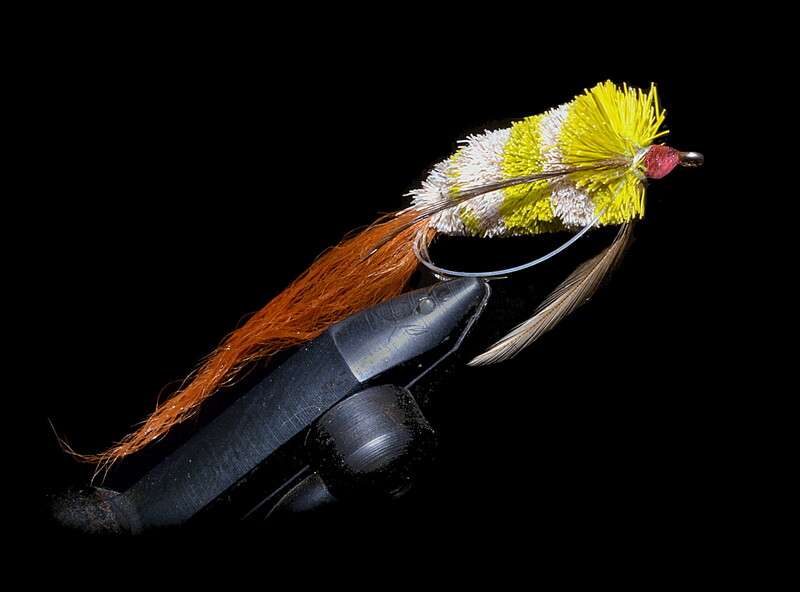 Most of the patterns resemble last year's most successful fly: the "Moonlight Dancer." It is reminiscent of many bass poppers. 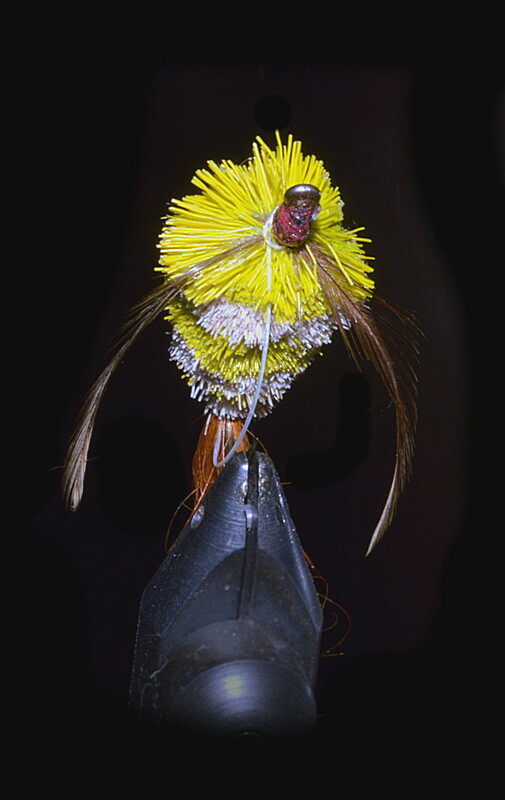 It is made from spun deer hair and sports a winged tail. It has a large flat face and is fished in the brighter areas of moonlight in the shade of trees and bushes. .. Strip - pause - strip, strip - pause - strip, strip, strip - long pause: repeat and get ready. There are bigger trout to be had than in your wildest wettest dreams! .. The Hunger Moon is that full moon in February that was also called The Snow Moon by Native Americans along our eastern seaboard and in the Great Lakes region. Both monikers are highly descriptive and accurate - for both man and trout. 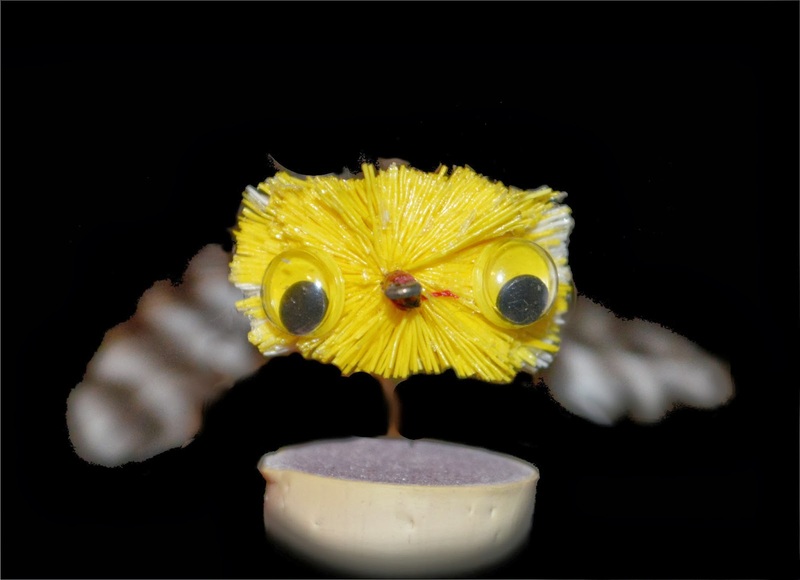 The full moon occurs on Valentine's Day this year and time is running short for fly tying. A week before and a week after are prime catching periods. That's just a week or so away.